Vatche Sarkisian is the Director of Program Review for Middle East Broadcasting Networks, Inc. (MBN) broadcasting news and information in Arabic to the Middle East and North Africa. 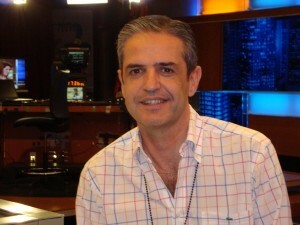 Mr. Sarkisian is responsible for reviewing the news and current affairs programming for Alhurra’s two television networks (including Alhurra and Alhurra-Iraq), Radio Sawa and MBN’s two websites (www.alhurra.com and www.radiosawa.com). Previously, Mr. Sarkisian served as Managing Editor of MBN’s two television networks playing a major role in developing and evaluating new programs. Before joining Alhurra, he was a producer for MBC US, Inc. and an International Radio Broadcaster and Production Specialist for Voice of America.